Things are moving forward! 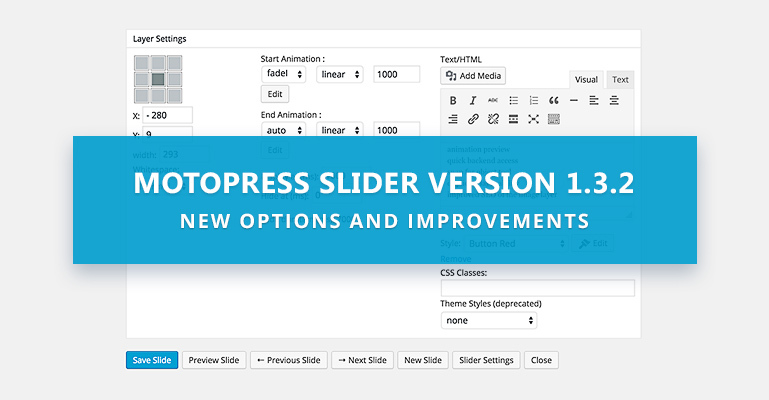 The MotoPress Slider plugin with a bunch of cool updates is already released. Now, the slider users can take the editing process even further as all enhancements are oriented on considerable rise of the editing speed and making your slider more SEO-friendly. We know you don’t have time to waste. So, what features exactly are your real timesaver? Let’s take a closer look to each improvement. While some edits of animation could have taken a lot of time, a new version makes it a matter of seconds. You’ll be able to see how each animation effect works in real time and choose the needed one in several clicks. 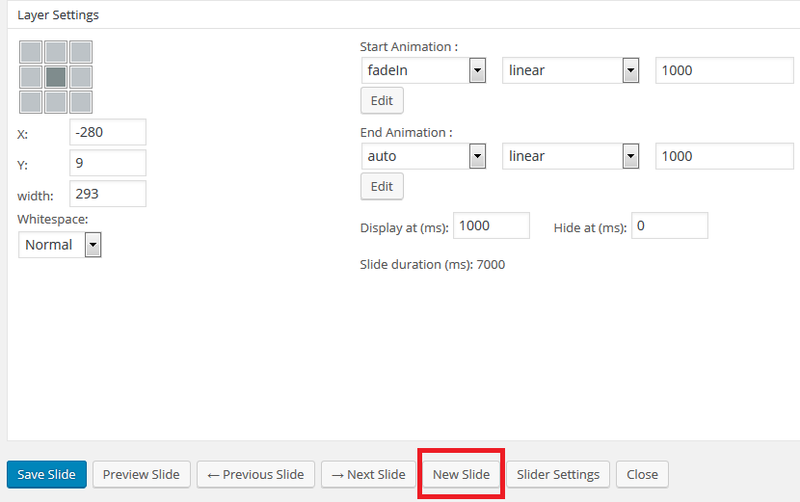 To check it in action, simply create a new slider > add any layer > in the bottom editing section find ‘Edit’ button for ‘Start Animation’ and ‘End Animation’ (all animation effects can be previewed for both animation start and animation end). 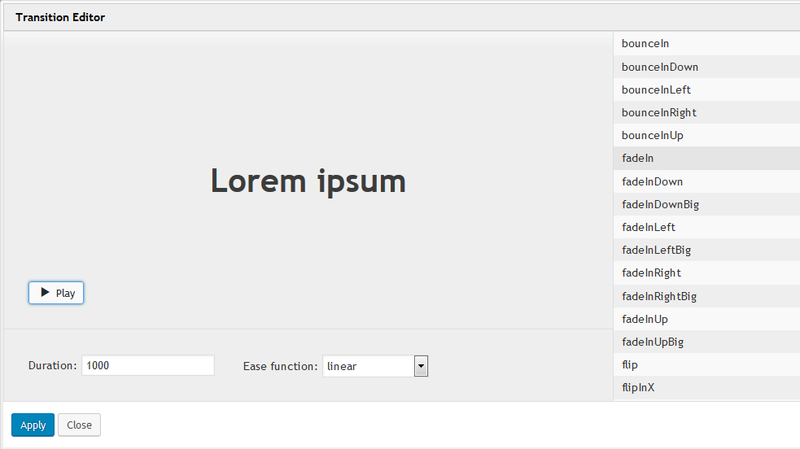 This feature allows you to be redirected directly to the backend slider settings from frontend in one click. When you are checking the slider on the live site and notice anything that requires improvement or even total change, simply click on the cogwheel icon in the upper left corner and the slider toolkit will appear immediately. Perfect accuracy is effortless thanks to this tool as you now work with auto-aligning layers. Simply create a new layer and drop it to the approximate location on the slider (just define where it should be: left/right or top/bottom) and it’ll be automatically aligned with all the other elements. As a result, any extra back and forth moves become unnecessary. It’s alike easy as working with layers in Photoshop. A small feature able to save tons of time. 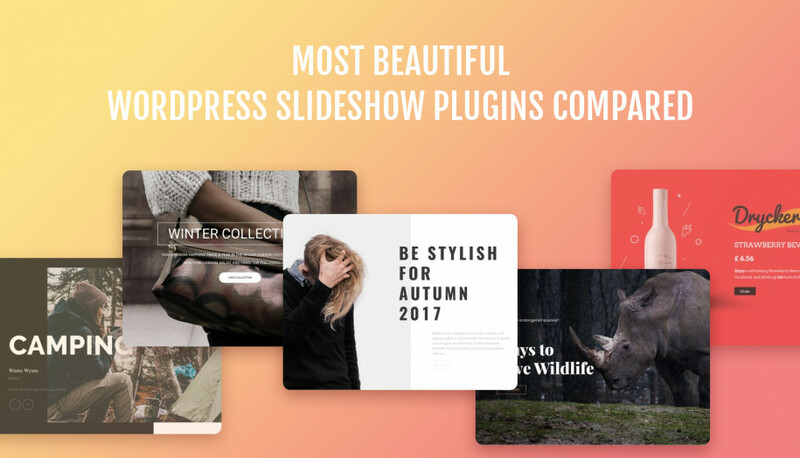 It’s especially a must-have for the sliders with a lot of slides where each one comes with multiple and same layers but with different content or different style and location. It’s not necessary to add default layers and customize them from scratch if there are already the ones with the needed style/content added. Among all the tools in the editing slide toolkit you can now see the ‘New Slide’ button on the bottom, which allows to create a new slide in one click right in the Edit slider screen. There are also ‘Previous Slide’ and ‘Next Slide’ buttons to help you navigate through the slides much faster. The Alt Text of the image (set in the Media Library) will now be automatically displayed if the image is not loading properly on the live site, so the site visitors still can see the alternative text. The main benefit is that it provides a semantic description of images for search engines. This can actually attract additional traffic through Google Images and positively influence on SEO ranking of the entire website. Remember to keep your Alt text short and simple for better optimization! From now on you can go about structuring the essential elements of the slider with much more handy tools and of course faster. It goes without saying that his will help you concentrate more on content and creativity and less on routine and repetition work.